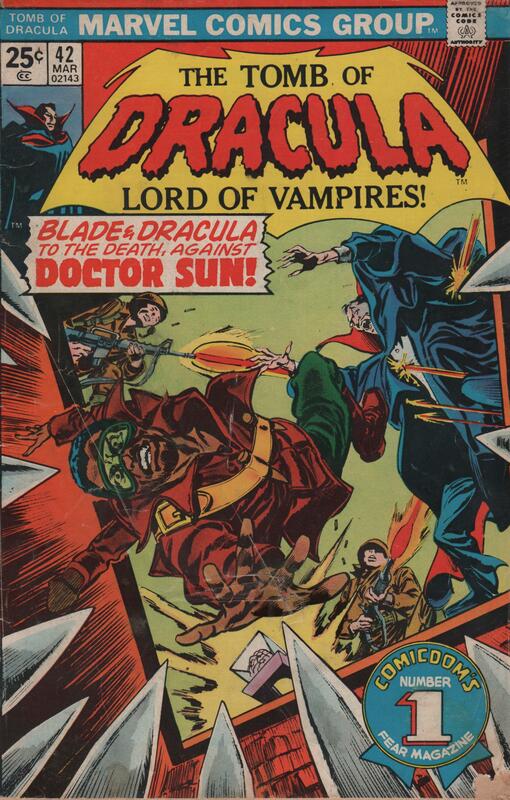 Blade | Magazines and Monsters! 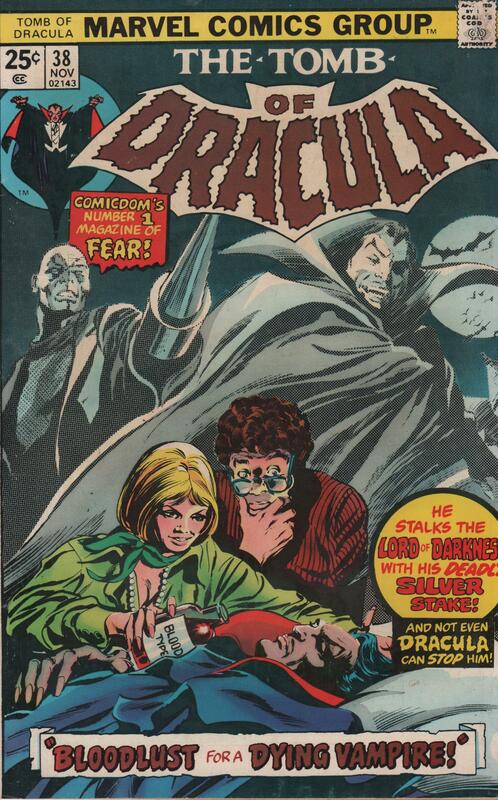 Time to crank up the weird on my computer, and offer another installment of Adventure into Fear! 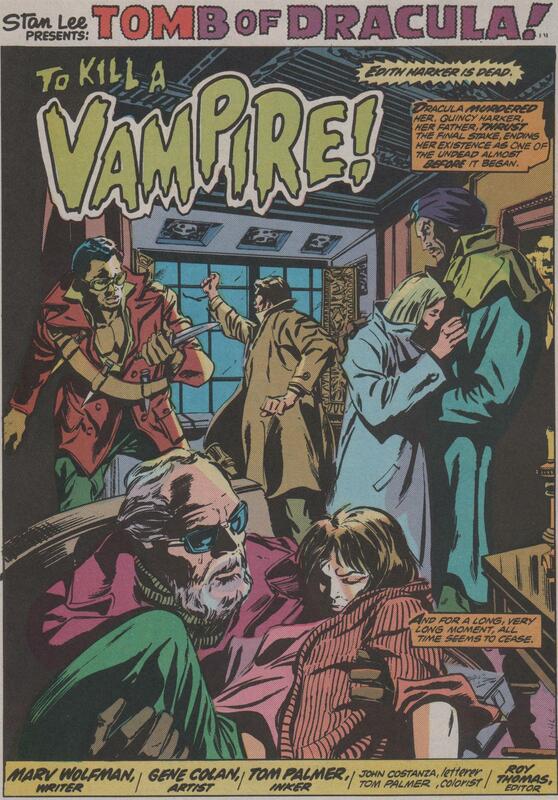 This book brings another chapter of the life of Morbius, the Living Vampire! 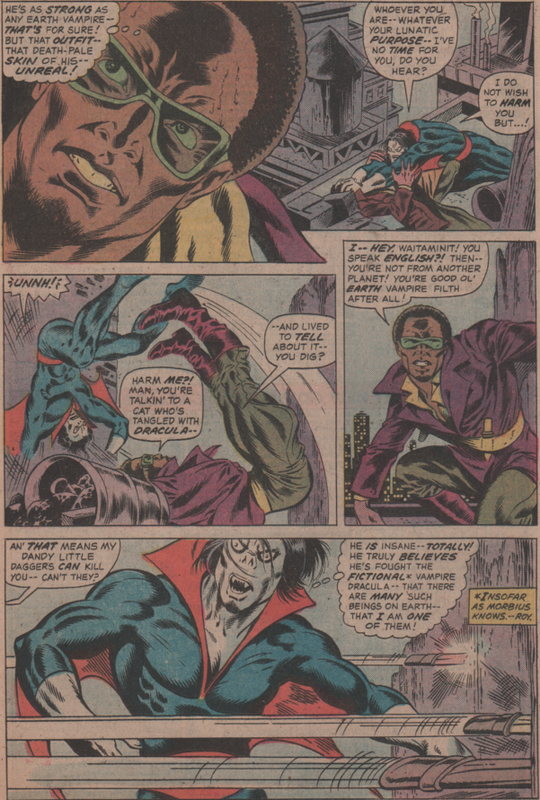 He’s kind of weird character himself, but throw in a creature from another world that has a giant eyeball for a head, and sprinkle in a little blaxploitation with Blade the vampire hunter, and you get more Marvel Bronze Age madness! 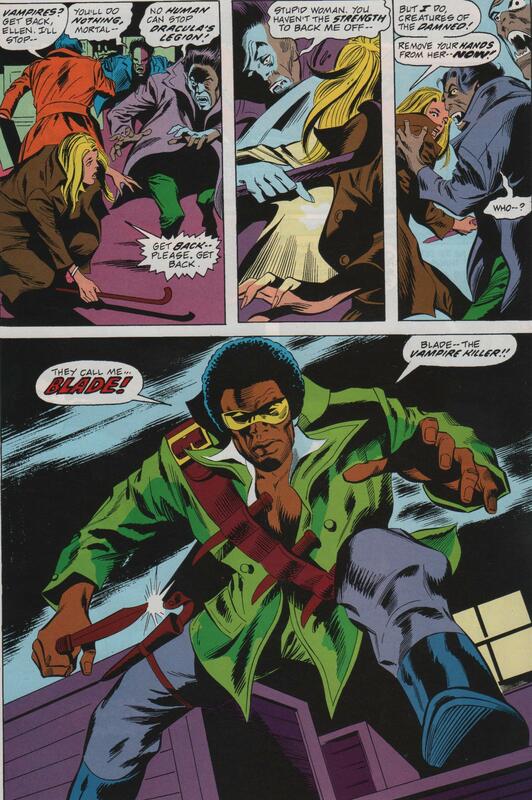 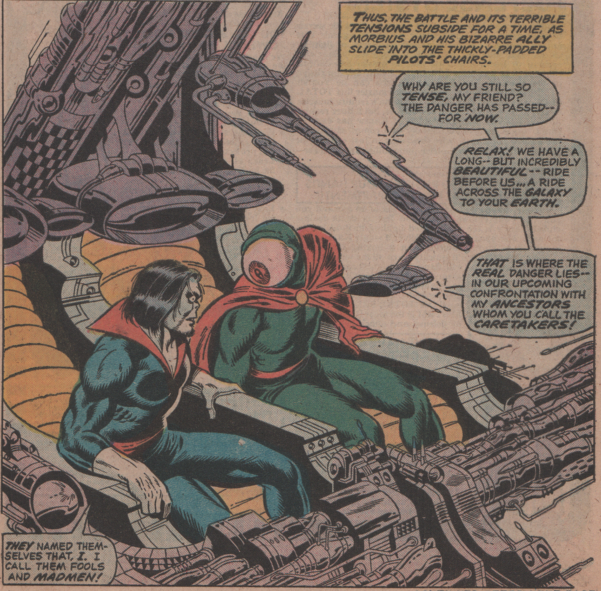 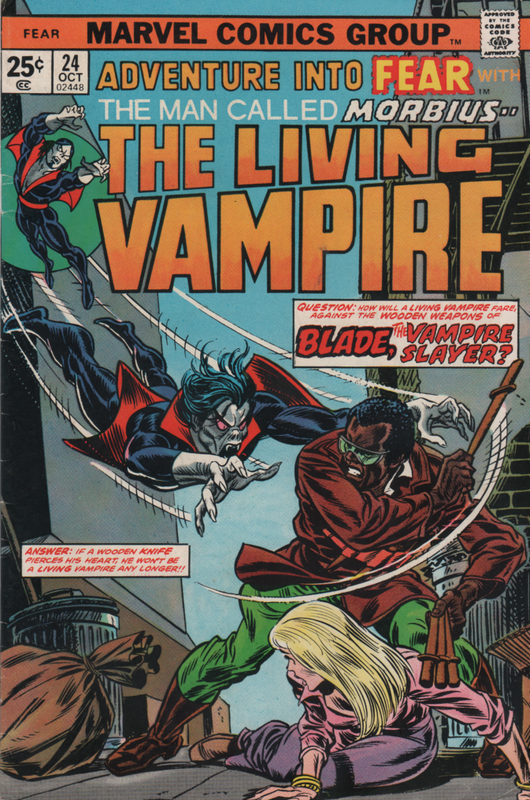 The story is somewhat of a continuation from the previous issue, but then shifts quickly to “several weeks later” and an encounter between Morbius and Blade. 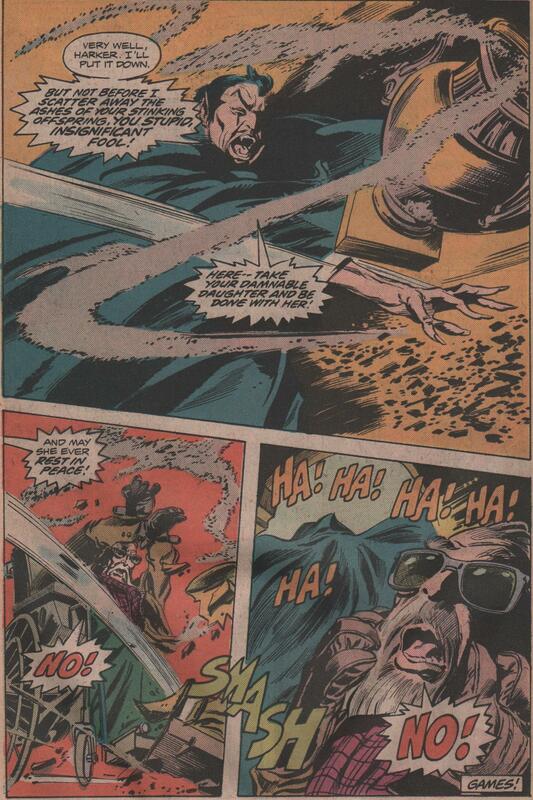 Death, destruction, violence, cat people, etc., this one has it all! 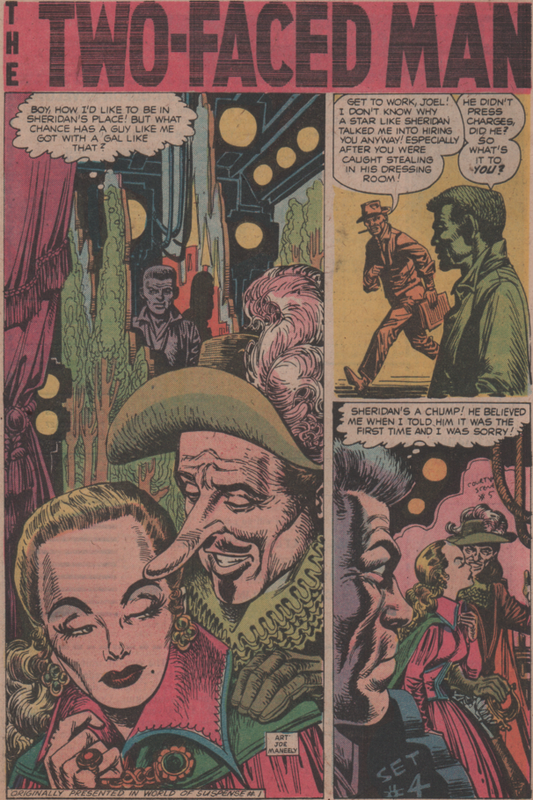 There is also a back up reprint story (“The Two-Faced Man“) with art by the legendary Joe Maneely! 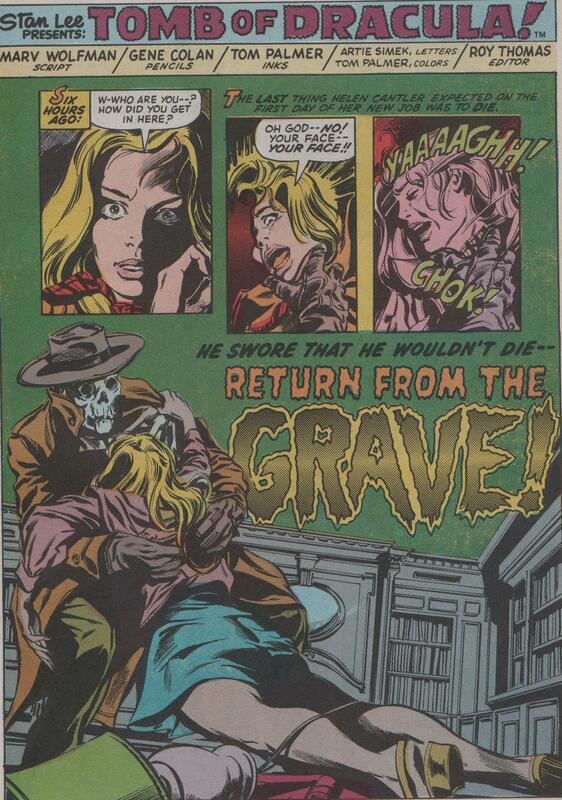 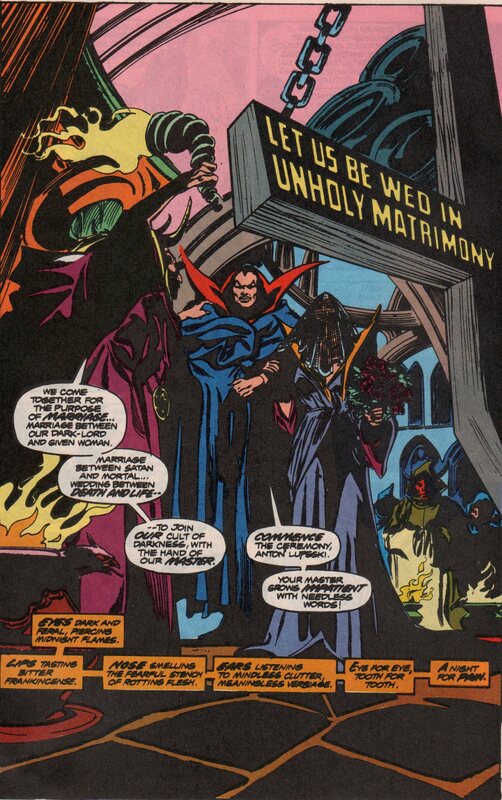 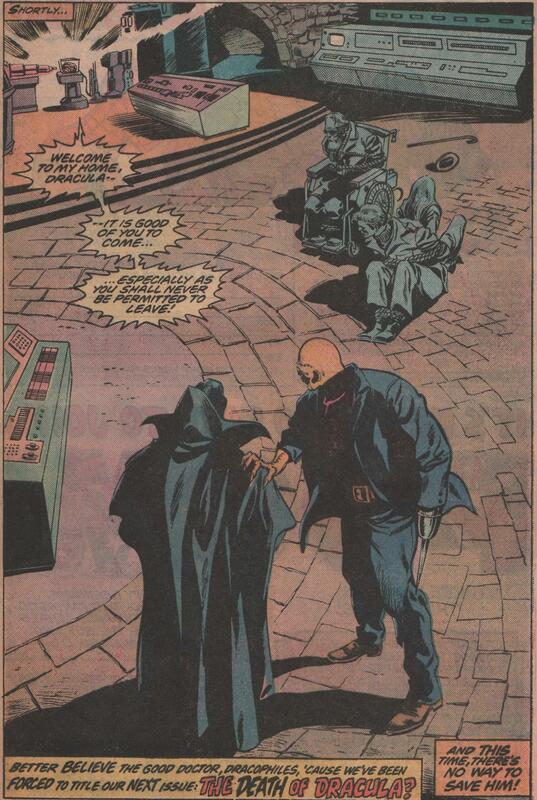 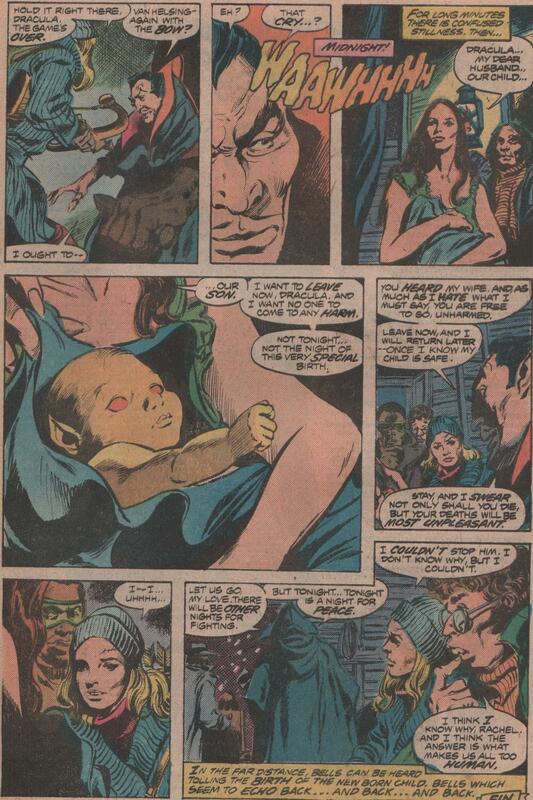 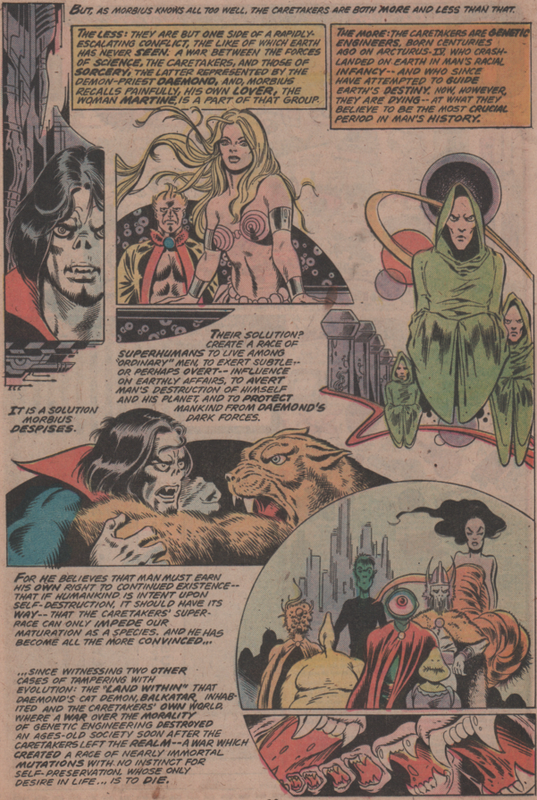 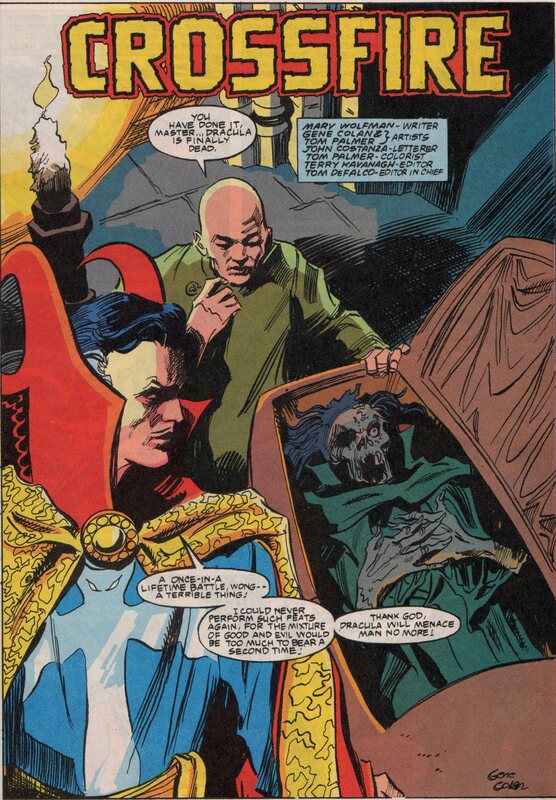 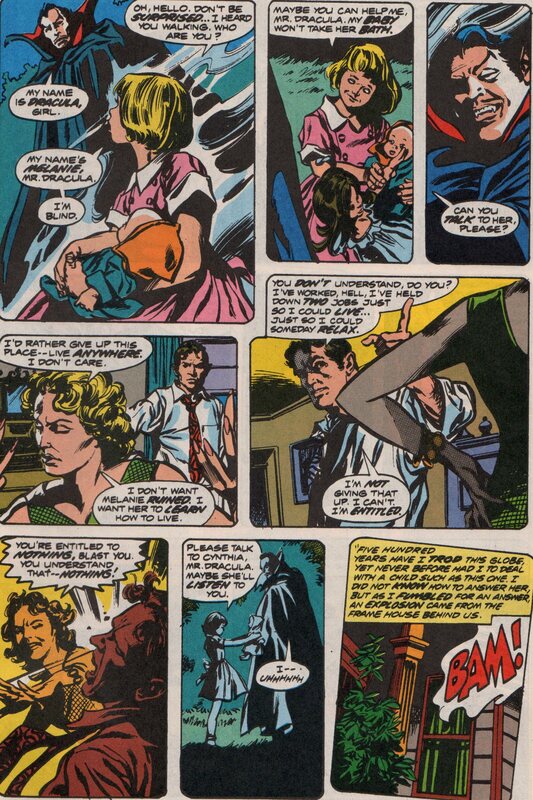 The story was written by Steve Gerber, with art by P. Craig Russell (pencils) and Jack Abel (inks). 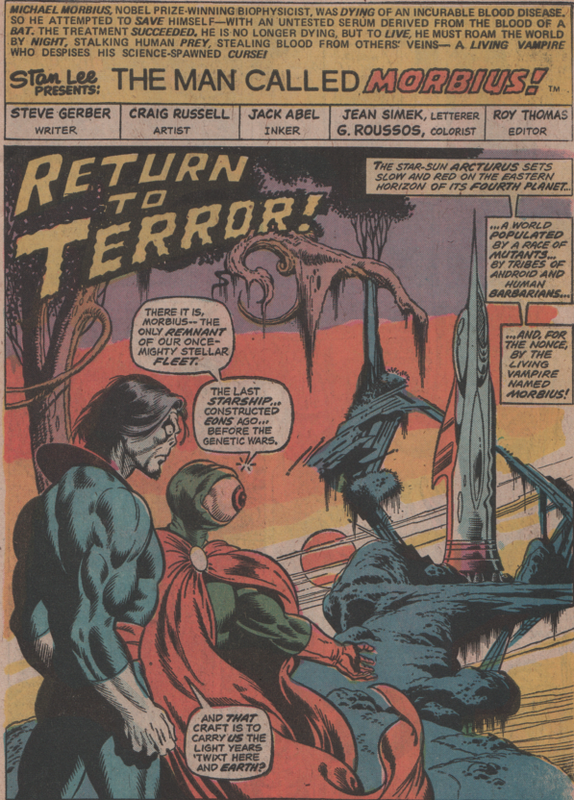 George Roussos (colors), Jean Simek (letters), and Roy Thomas (editor) round out the creative team on the inside, but don’t forget that incredible cover by Gil Kane and John Romita! 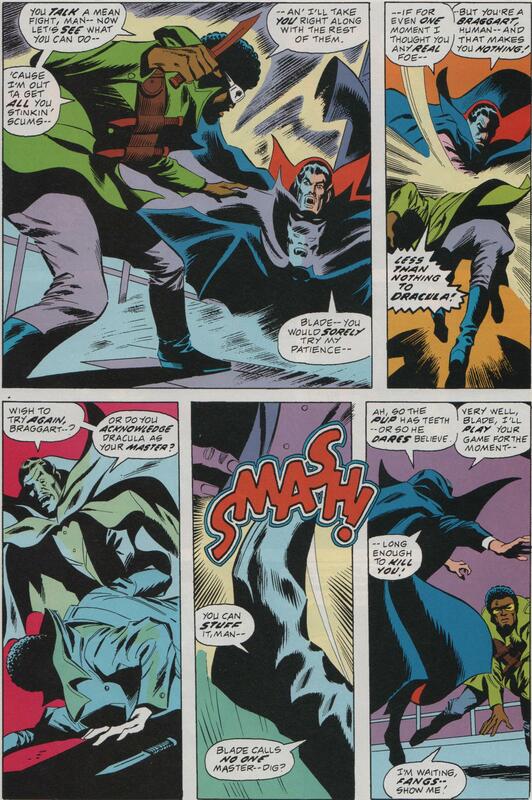 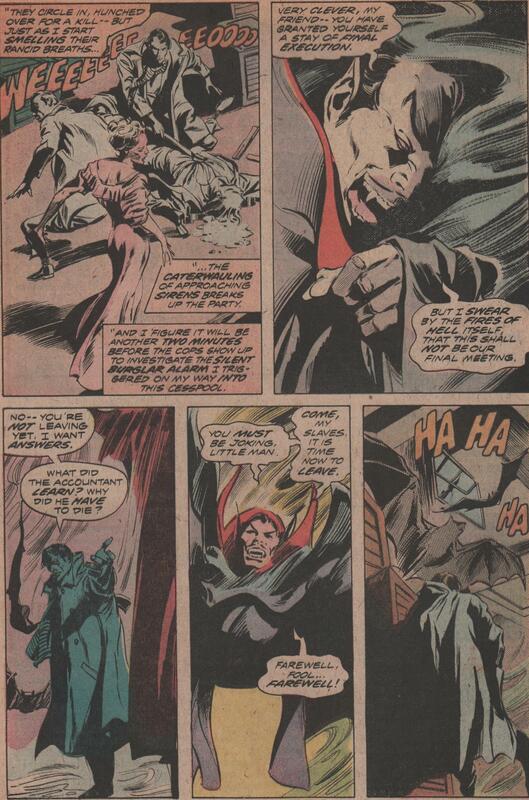 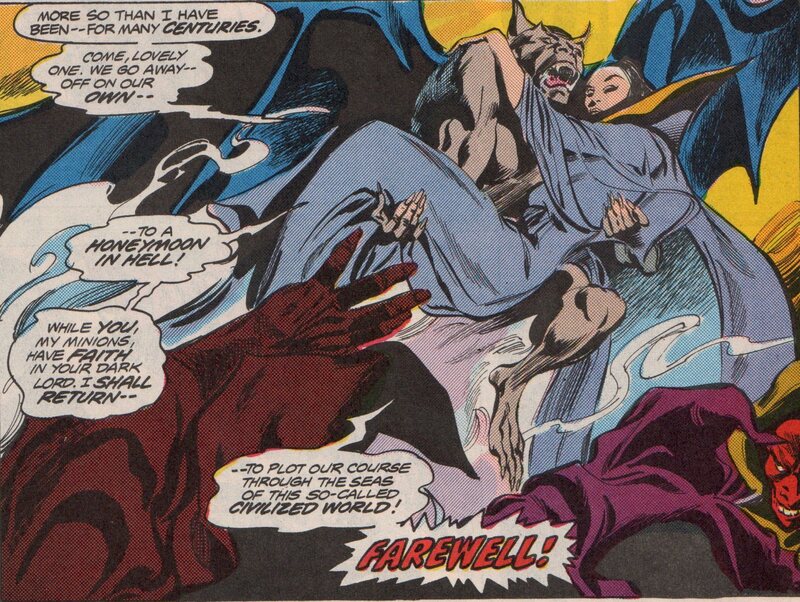 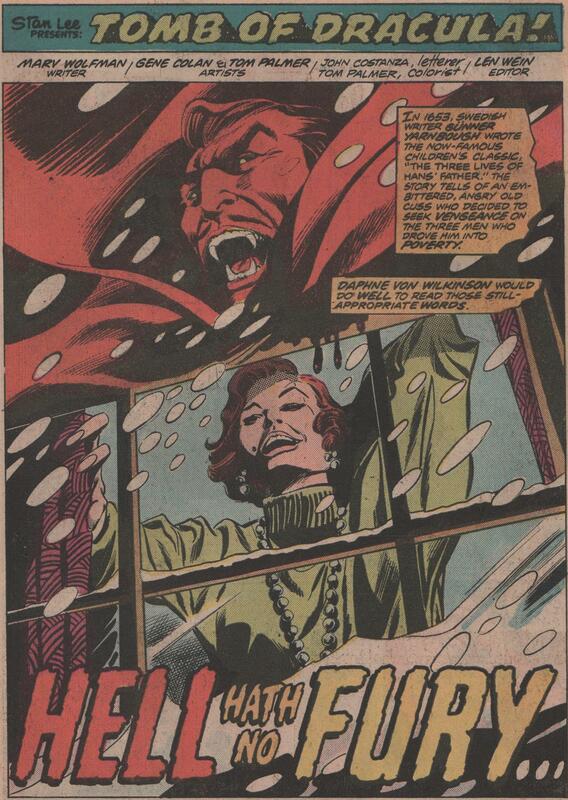 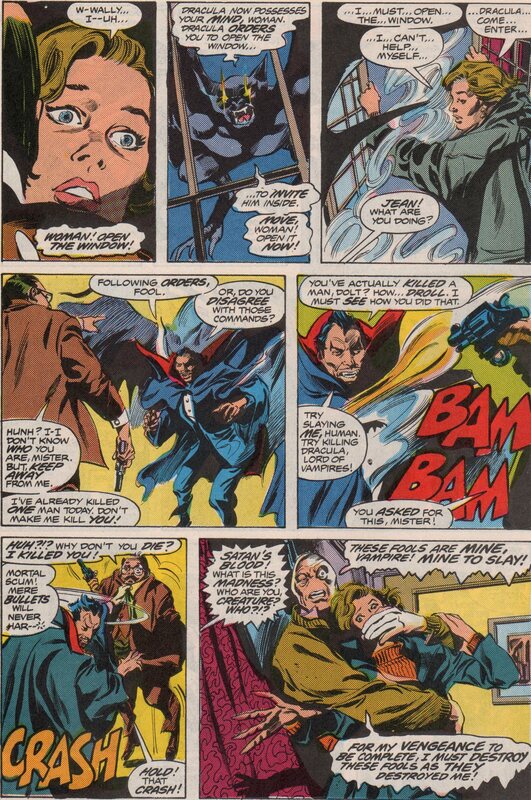 In this, the last installment of my Gene Colan tribute, we’ll take a look at his finest work. 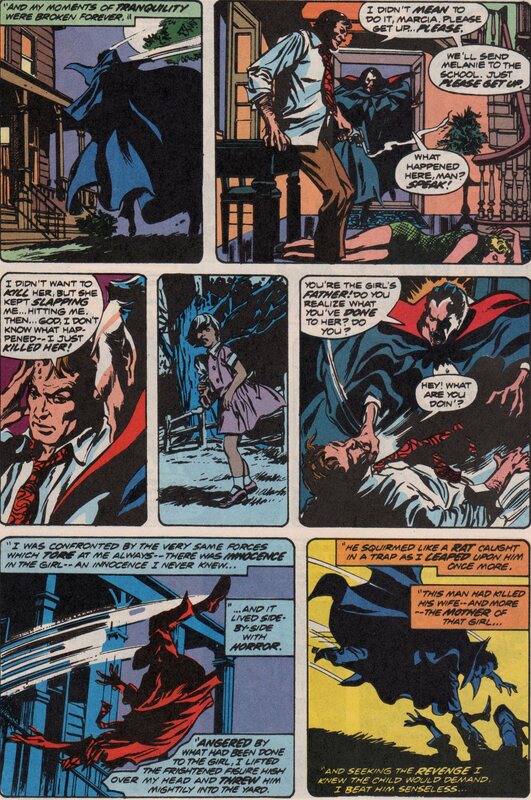 Yes, Gene did tremendous work on all of his projects, but none matched his excellence on The Tomb of Dracula. 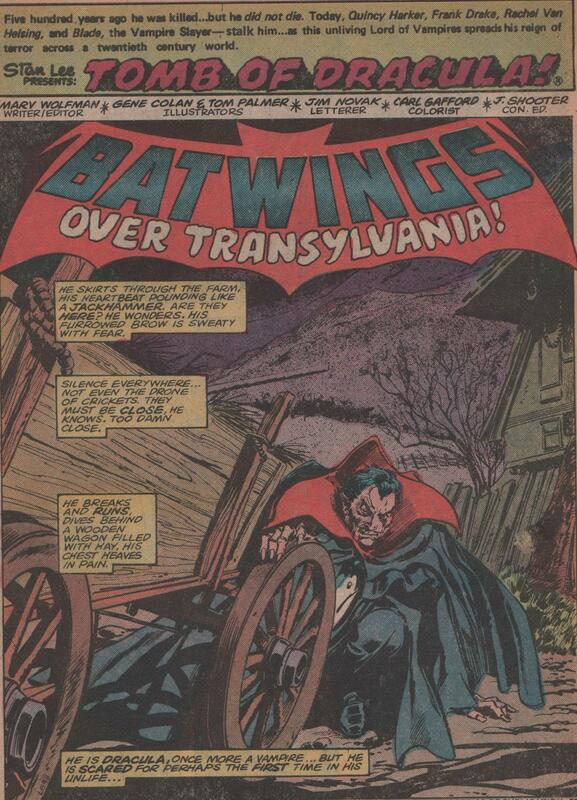 This collaboration with friends Tom Palmer, and Marv Wolfman, is without a doubt one of the most incredible series in all of comic books in the 1970’s. 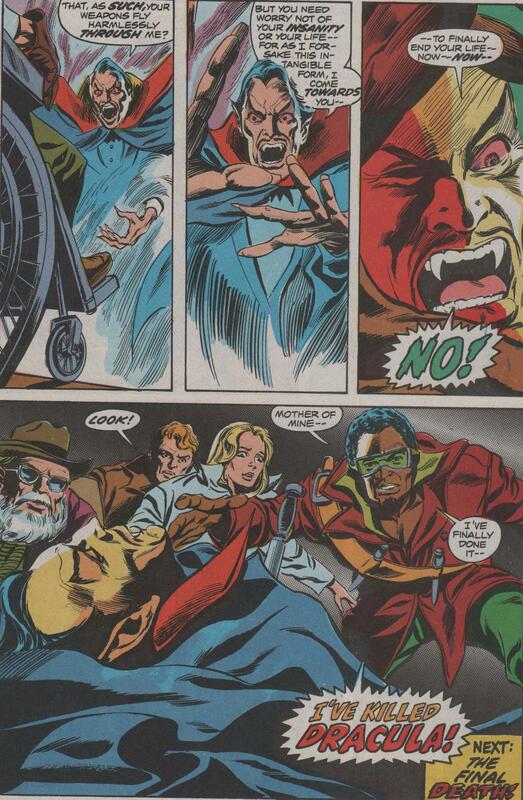 For anyone that’s read any part of this series, you know what a gift gene and this team gave us. 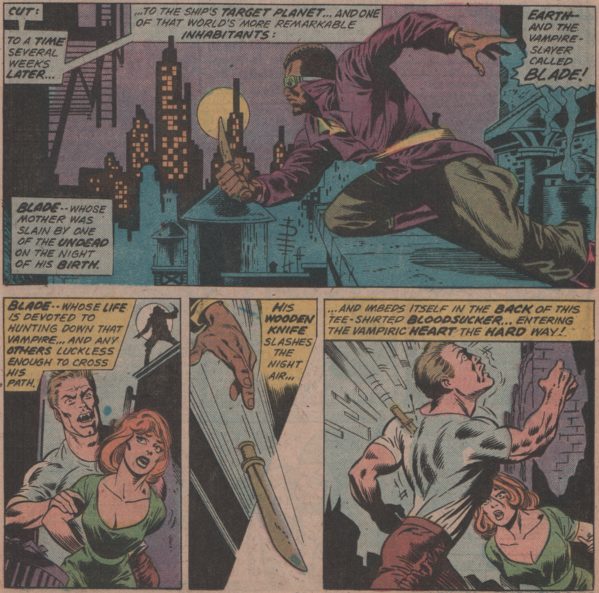 For seventy issues, Gene poured his heart and soul into this book, and that cannot be debated. 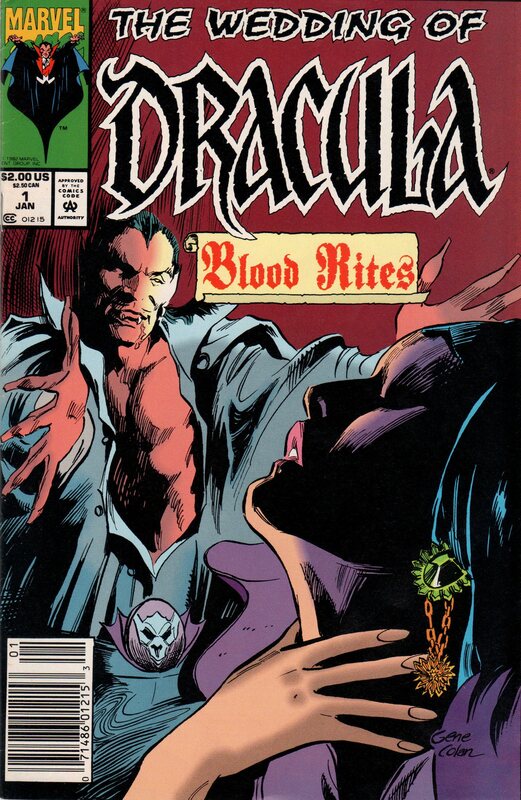 In this finale, you’ll see Dracula’s life, his death, his resurrection, his constant battle with Quincy Harker, Blade, and the rest of the Vampire Hunters, and the birth of his son! 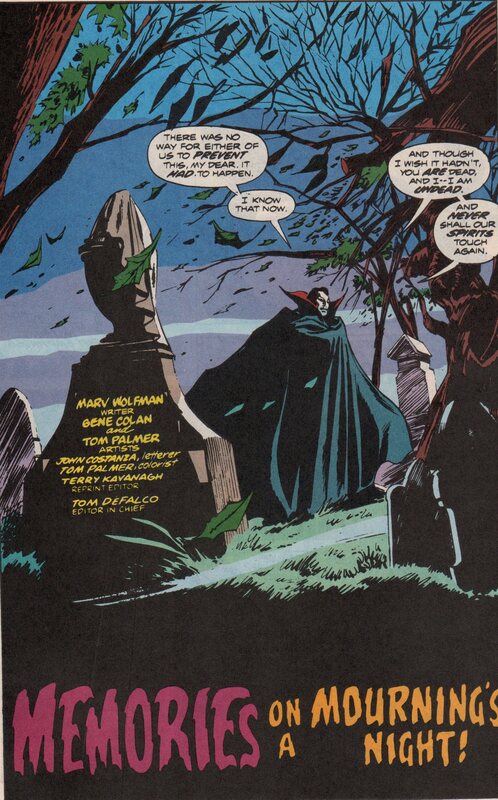 So, here’s to you, Gene, the one artist who will always be at the top of my list! 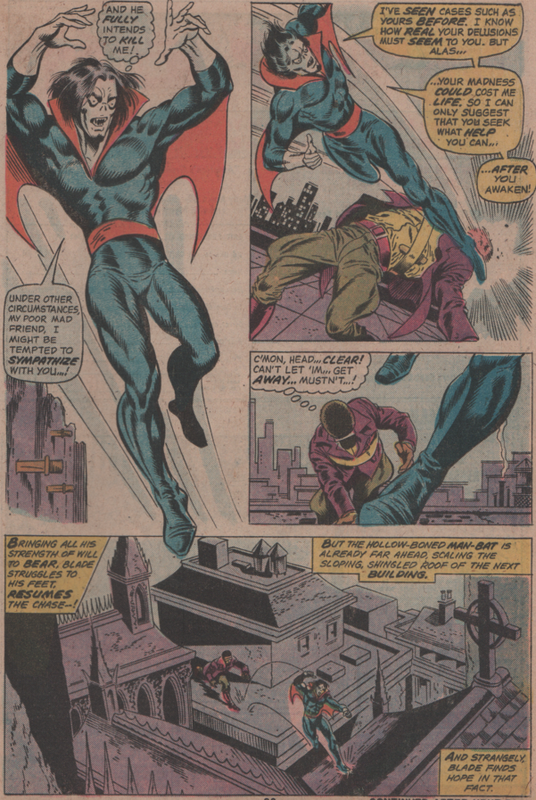 Rest in Peace, Gentleman Gene!